Updates / Additions: Big Sean, Michael Bolton, etc. 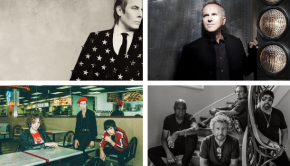 More updates: Peter Murphy, Béla Fleck, Jesse Harris, Hall & Oates, Deee-Lite, Status Quo, The Standells, etc. New Songs: Lana Del Rey, Santana, Ray LaMontagne, etc.